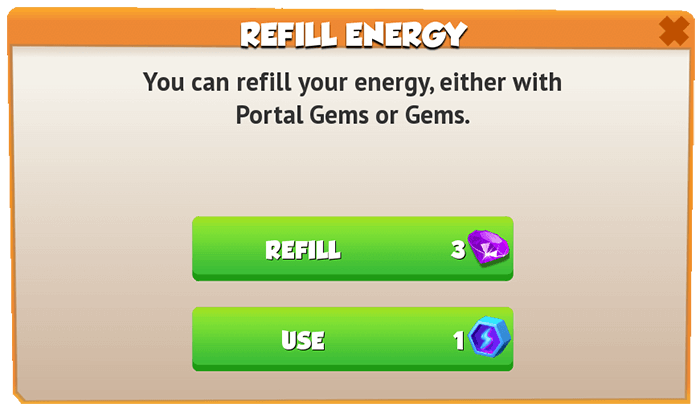 Portal Gems are used to fill the Battle Energy for the Campaign Map. Each Portal Gem is equivalent to one Portal Energy. Portal Gems that are received are held in the tab of the inventory . The maximum number of Portal Gems a Trainer can have in their inventory is 200. Every Portal Gem received over that limit can be converted to Gold if the Trainer chooses to, or they can claim them once they have fewer than 200 of them; the amount of Gold received depends on the Level Modifier multiplied by 1,500. Portal Gems can be received from friends, from Daily Prizes, from the Whale-Mart or from obtaining a certain amount of Friendship Points, and they can also be won in various events or by playing Otto's Lotto. Update 3.7 introduced the Whale-Mart along with the possibility of obtaining Portal Gems through this feature. 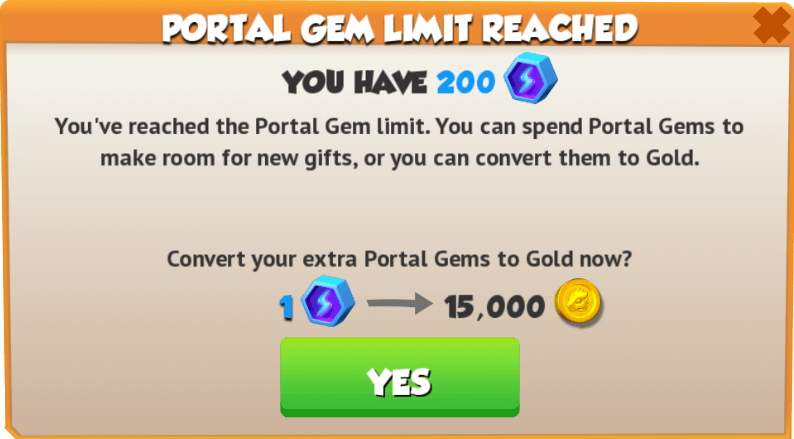 Update 2.8 decreased the 1,500 limit of Portal Gems in the inventory to 200. Update 2.3 discontinued the award of Portal Gems from the Daily Quests. Update 1.9 introduced a limit of 1,500 Portal Gems in the inventory. Update 1.2 discontinued the award of Portal Gems as win-streak prizes in the Dragon League.